Cannich Stores & Post Office is a well stocked licensed Spar shop situated at the heart of the three Glens in the Scottish Highland village of Cannich. Although a comparatively small village with a population of just over 300, Cannich is an important local centre providing facilities for quite a wide surrounding area of Strathglass and the Great Glens. Our Spar shop therefore serves not only those living and holidaying in Cannich itself, but also those fom the surrounding outlying communities, like those of Tomich, Cougie, Struy and others. 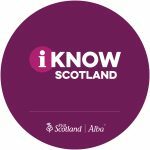 We are also backed by VisitScotland as a VisitScotland Information Partner for the Inverness, Nairn and Loch Ness region.